Look, I like the River LINE. I know the diesel-powered light rail/commuter rail hybrid from Camden to Trenton is basically there just so NJT can say “Look, we have light rail in South Jersey!”, but it’s great for what it is. It’s reasonably frequent, it has vastly exceeded ridership projections, and it’s super cheap. 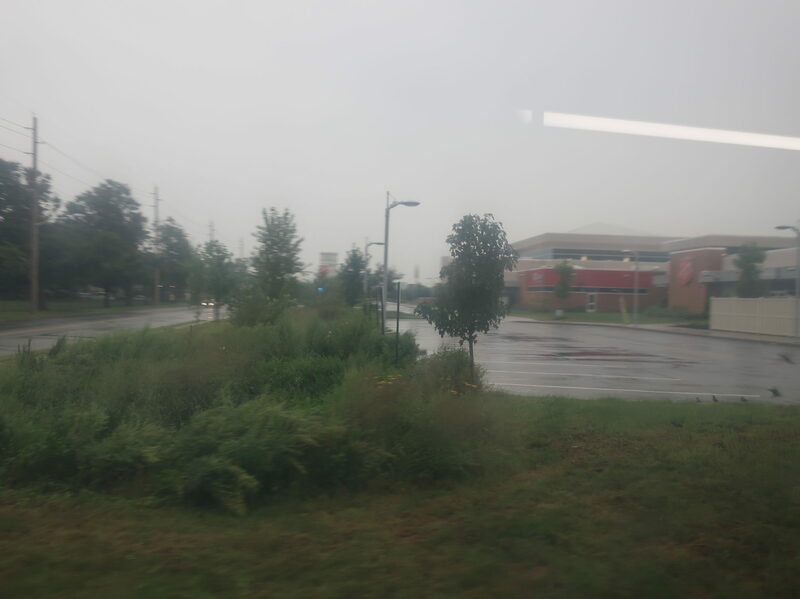 Here’s a question, though: if we have this frequent, well-used, cheap light rail line…why does the 419, the infrequent, barely-used, expensive bus line that just parallels the light rail to Riverside, still exist? Okay, well, maybe it exists to give passengers a one-seat ride to Philly. After all, a one-seat ride is something a lot of people value, and the fact that the River LINE doesn’t run to Philly is a potential detriment to its ridership. Oh wait, no…the 419 starts in Camden. Alright, so a one-seat ride isn’t it. 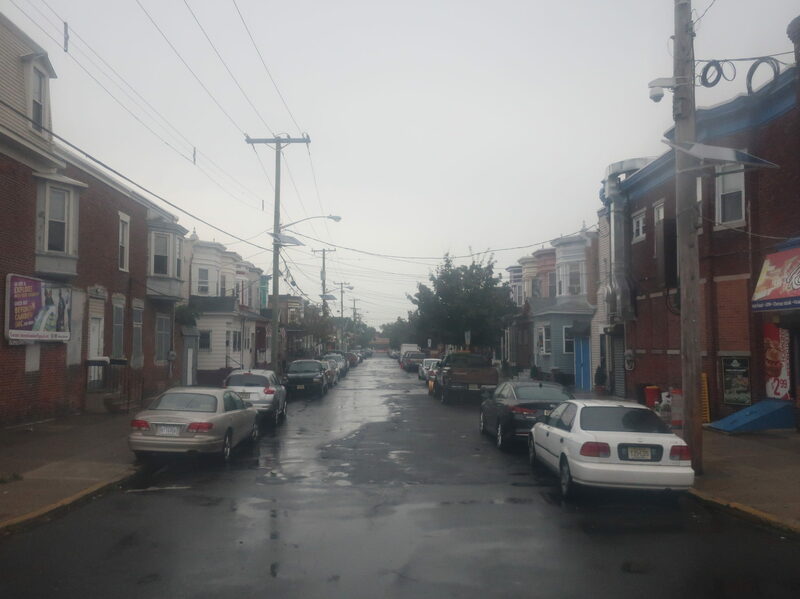 Well geez, the rainy weather doesn’t do any favors to Camden’s aesthetic appeal, does it? 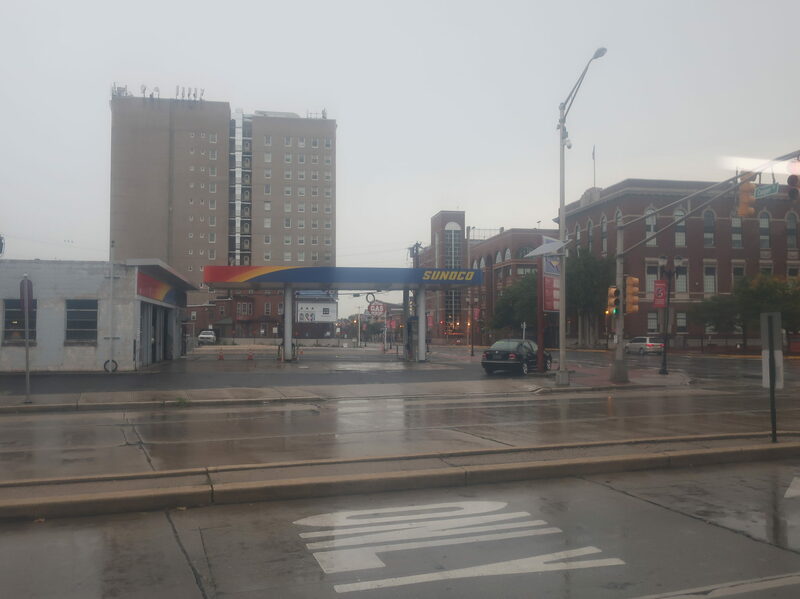 We pulled out from the Walter Rand Transportation Center onto Haddon Ave, which became 7th Street as it crossed I-676. We entered a dense residential neighborhood on the other side, which continued as we turned onto State Street. Well, hey, the River LINE doesn’t serve this neighborhood, so this is good! Oh wait, the 452 serves it too, and it runs more frequently than the 419 on weekdays. Darn it! Some of the many rowhouses of the neighborhood. Once State Street crossed the Cooper River, things got a lot more…middle of nowhere. Some apartments had been built on one side of the road, but the other side was basically just a wasteland. At a recycling plant, we turned onto Harrison Ave to deviate into the Kroc Center. This makes sense: the Kroc Center is an important Salvation Army community center for the city of Camden. Unfortunately, no one got on or off here. Hmm…maybe because it was 7:45 AM on a Sunday…and the Kroc Center doesn’t open until 9?????? YEAH, THAT’S PROBABLY IT. Pulling into the parking lot. And then, rather than use the local (admittedly narrow) roads to get to the next main street on the route, River Ave, buses have to return to Harrison all the way back to State! 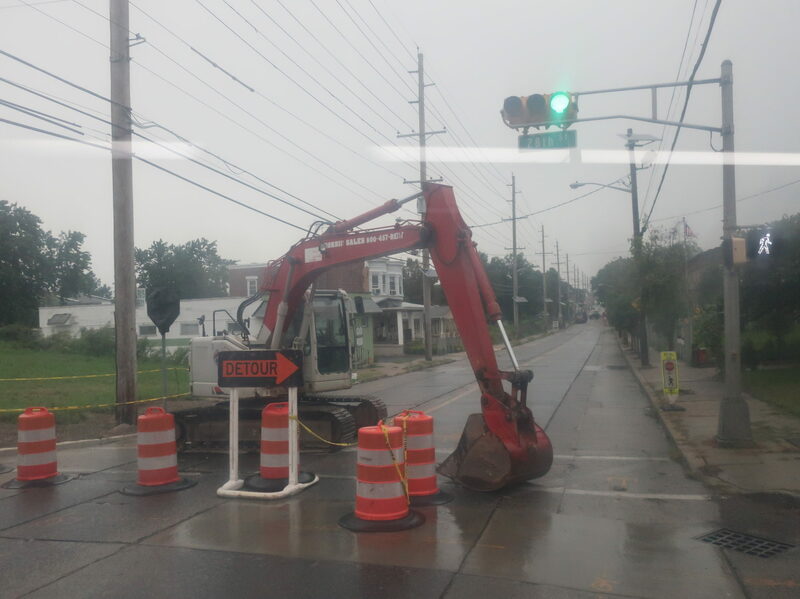 And for our trip, there was construction on River Ave, so we only travelled a block down State before turning onto Pierce Ave. While River Ave is a main road with a ton of retail, Pierce Ave was super narrow, and all we passed was decrepit apartments and vacant land. Such is the nature of Camden, I suppose. We turned onto 26th Street, making it onto River Ave for just two blocks before having to run down 28th Street on another detour. We travelled down Hayes Street, which was also residential, decrepit, and super narrow, and then we used Reeves Ave to finally get back to River Ave for the normal route. It was a mix of businesses and apartments. By the way, we were still directly following the route of the 452. The 452 finally leaves the 419 at 36th Street to terminate at the River LINE station of the same name. Great, now we were on our own! Here, surely, the 419 would become much more useful. River Road went on a long bridge over the River LINE tracks, leaving the city of Camden, and…we were in suburbia. Every house had a driveway. Curses, foiled again! Even though the 419 has seven other River LINE connections, apparently the route needed one more. 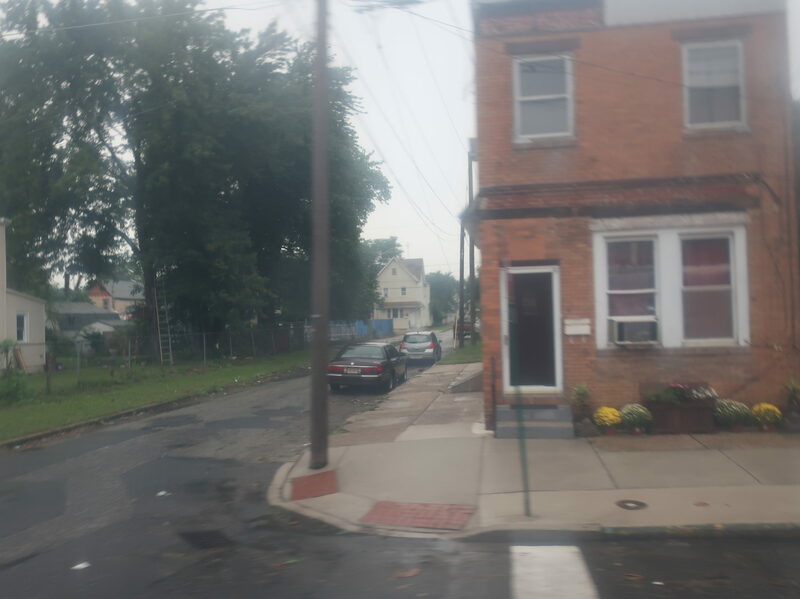 So, after heading through an industrial wasteland for a bit, we used Derousse Ave to deviate into the Pennsauken Transit Center. And I know what you’re thinking: “Oh, it’s to connect to the Atlantic City Line!” To which I say: if there really was anyone who regularly makes that connection and can’t walk two blocks to get to the station, I would be really surprised. Who goes from the AC Line to the 419? We returned to River Road, running past more suburban houses, as well as a few businesses and the Betsy Ross Bridge to Philly. 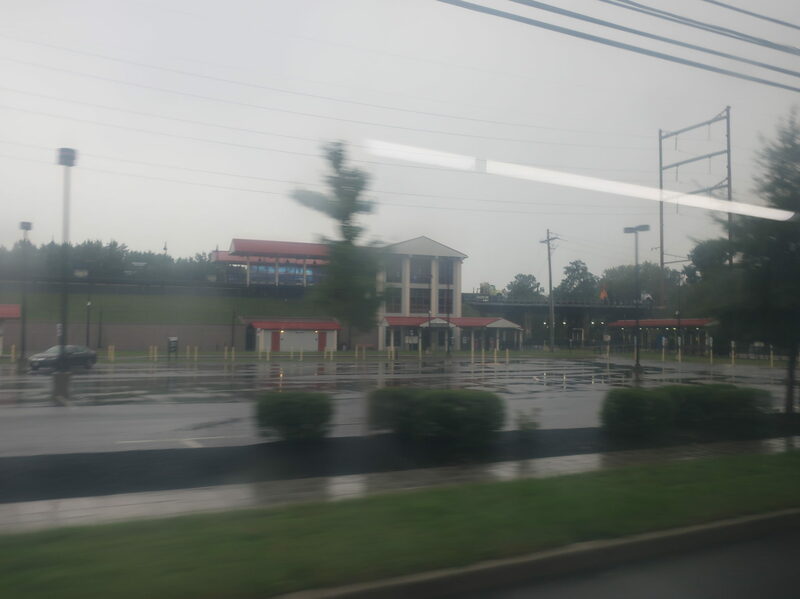 Entering another industrial wasteland, we sped past the Route 73/Pennsauken River LINE station and River Road became New River Road. 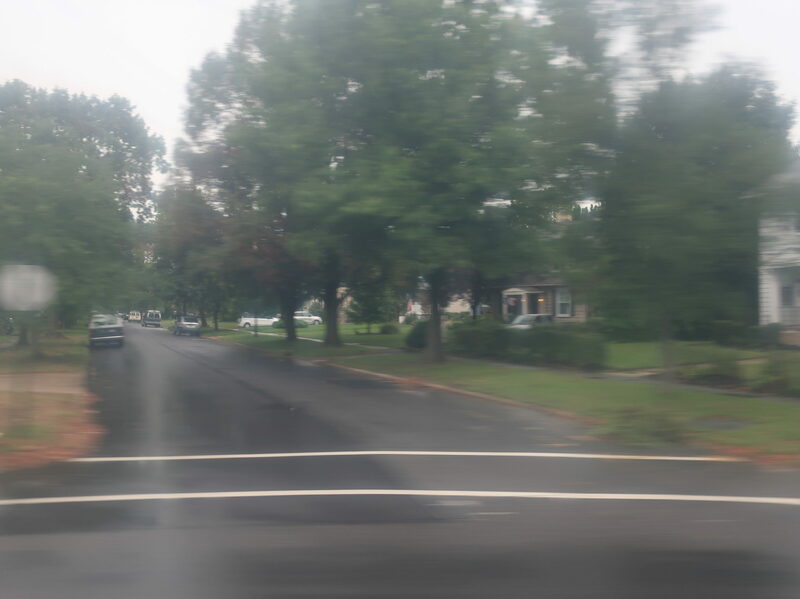 Crossing Pennsauken Creek, we passed through a classic South Jersey cloverleaf interchange, then we turned onto Public Road to get to Broad Street. Crossing the River LINE track. Okay, Broad Street was a major throughway with dense houses and some businesses. Surely now, finally, the route would be useful. But wait, what’s that two minutes away? Oh, it’s the Palmyra River LINE station! 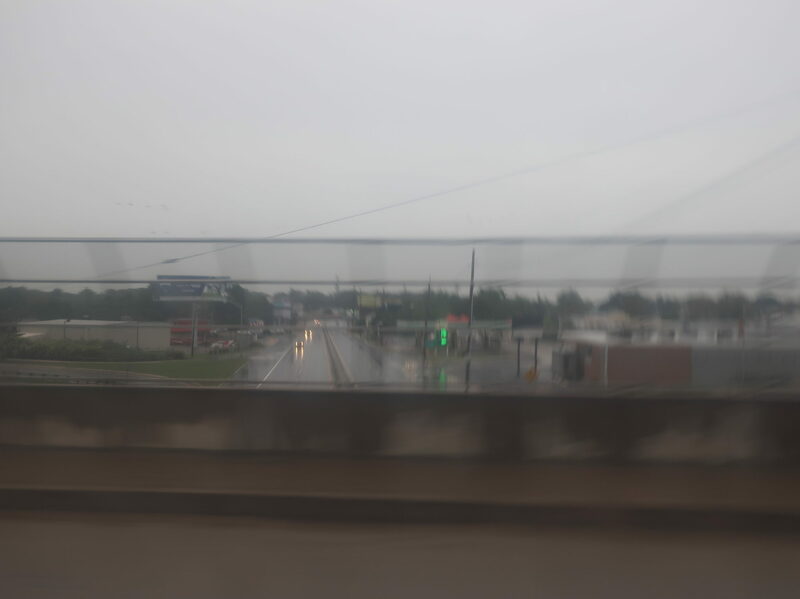 Another two minutes of driving and here was downtown Riverton and its River LINE station. 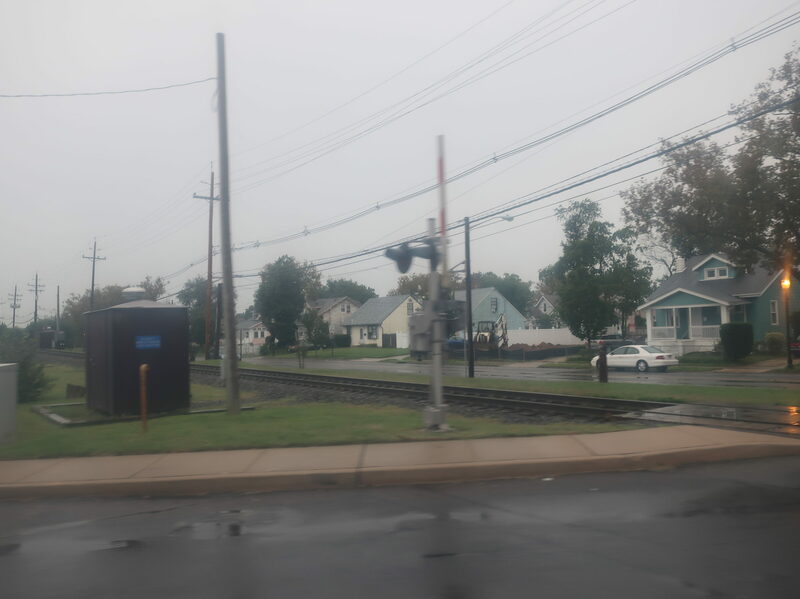 Three minutes later, here was Cinnaminson Station. And that one wasn’t even in a downtown, it was just an apartment development and some industrial buildings! Some houses in between Palmyra and Riverton. But Cinnaminson and Riverside are actually far away – a little under 3 miles. Finally, right at the end, here’s where the 419 becomes useful. Except no, it doesn’t. Because there’s a reason the stops are so far away: there’s basically nothing between them! It’s just woods and industry. That’s it. When we came back into a real neighborhood, there were a few blocks that were pretty far from the station, but again, everyone had driveways. And just like that, we were in downtown Riverton, and the route fittingly ended right at the River LINE station. Heading off to the layover point. Ridership: Oh, I would love to see the ridership numbers for this route. Well, my Sunday morning ride got a glorious two people, and the driver said the route is that light throughout the day. So…yeah, about what I was expecting. Pros: Hey, I’ll say something good about the 419: it actually has a really impressive service span. 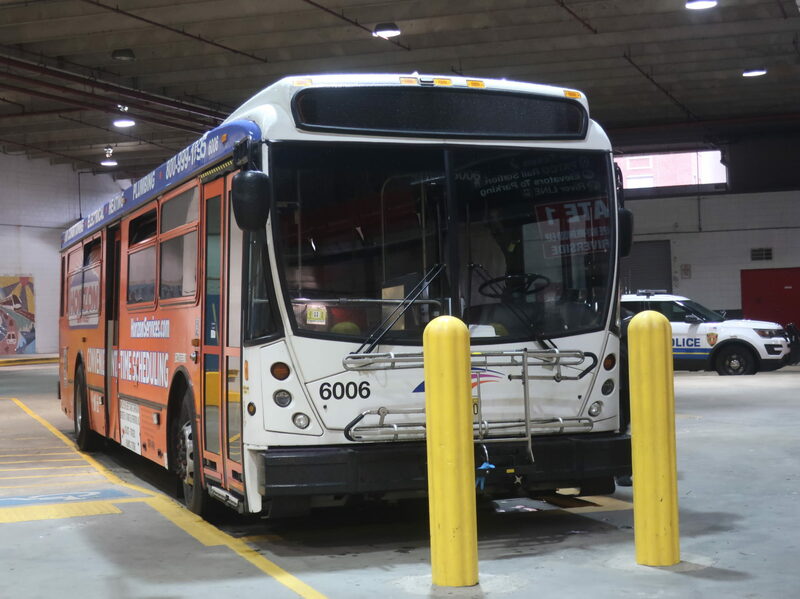 Buses run from about 3:30 AM to 1:00 AM on weekdays, and 5:30 to 1:30 on weekends. The River LINE only runs from about 6 AM to 9:30 PM (midnight on Saturdays), so there are times when the 419 is the only option. It’s also every hour throughout the day, which is…consistent. Frequency: The River LINE is every half hour for most of the day, and every 15 minutes at rush hour. The 419 is every hour. Speed: The River LINE takes 22 minutes to get from the Walter Rand Transportation Center to Riverton. The 419? 48 minutes. Convenience: Sure, the 419 does stop more frequently than the River LINE, but most of the proper neighborhoods it serves are no more than a ten minute walk from the light rail. And what are you going to do, walk ten minutes to the frequent and fast light rail, or wait an hour for the bus that will take longer anyway? Price: I swear to God I’m not making this up: the River LINE costs $1.60 to get from Camden to Riverside; because of the bus zone system, the 419 costs $2.75. I’m sorry, in what world is it acceptable for the in-all-other-ways inferior bus to also be more expensive than the in-all-other-ways superior train? This is the last straw. Nearby and Noteworthy: On a Sunday morning, downtown Riverside is pretty dead. Actually, the town is pretty dead at most other times, too. But even if that wasn’t the case, why would you take the 419 there? Okay, look, even the parts of the 419 that are away from the River LINE are still served by the 452! 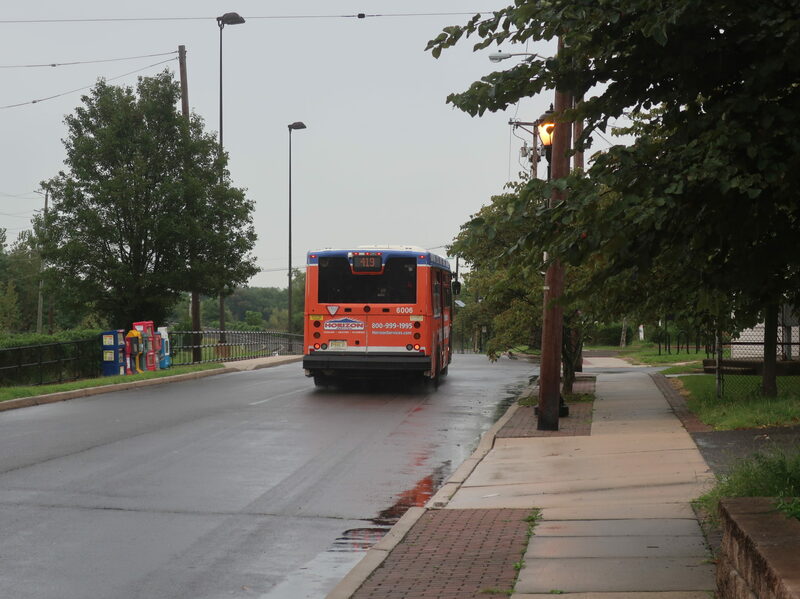 Sure, the 452 is a weird circulator thing that takes longer than the 419’s direct ride, but if the 419 was eliminated, more resources could be put into serving those neighborhoods with more logical and frequent service. The only time it makes sense to run this route is during the early morning and late night hours when the River LINE isn’t running. That’s it. At the very least, make the bus the same darn price as the train. PLEASE!